UPDATE: Last Thursday, June 15, 2017, the members of the Senate committee on National Security and Defence rejected all amendments to Bill C-22. As it is, the bill will leave the future National Security Committee of Parliamentarians incapable of accomplishing its important oversight work. The Senate will vote on the bill in 3rd reading TOMORROW. This is our last chance to rectify this situation! Please send the letter below to all Senators TODAY even if you already participated in the previous actions. And share widely. Thank you! Background information: On Monday, March 20th, 2017, the federal government passed amendments to Bill C-22, “An Act to establish the National Security and Intelligence Committee of Parliamentarians”, effectively cancelling several amendments proposed by the Public Safety House Committee – despite the fact that Liberal MPs make up the majority of the committee – and reverting the bill to its original, highly inadequate and worrisome text. On Tuesday, April 4th, the government voted in favor of Bill C-22 at third reading in the House of Commons. The bill was studied in the Senate Committee on National Security and Defence, and all further amendments that would have improved the bill have been defeated there as well. 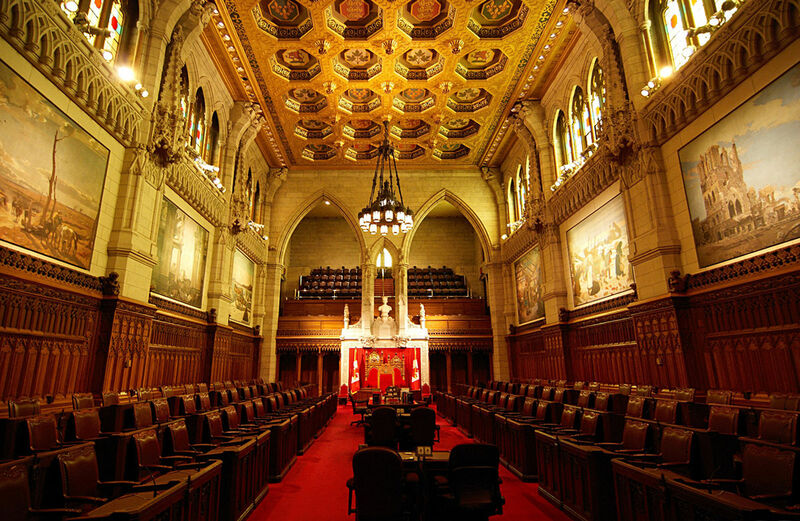 Read our analysis of Bill C-22. Read our latest brief on C-22 submitted to the Senate Committee. As it is, the bill will leave the future National Security Committee of Parliamentarians incapable of accomplishing its important oversight work. Please take 2 minutes of your time and send a letter to all Senators urging them to strengthen C-22 TODAY as the Senate will vote on it for the last time tomorrow. I am writing you today to ask that you take action to ensure strong parliamentary oversight of our country’s national security activities and policies. I believe that Bill C-22, the National Security and Intelligence Committee of Parliamentarians Act, is an important and necessary piece of legislation. That is why I, and other Canadians, are so adamant that the bill be strengthened before becoming law. As you are well aware, the House of Commons Standing Committee on Public Safety and National Defence amended C-22 to answer concerns voiced by security experts and human rights advocates. These amendments, which had cross-party support, would have ensured committee members the ability to access the information necessary to investigate, enabled them to compel testimony and the production of documents, and generally allowed them to more effectively carry out their work. Disappointingly, the majority of these amendments were removed before the bill passed third reading. I believe this was a mistake. Furthermore, while the government has argued that it is important to pass the bill now, I believe it is worth taking more time in order to improve this important bill. During committee hearings, many experts proposed improvements that would have strengthened the bill, and that I believe should still be considered. Some of those were proposed as amendments at committee, but were voted down. – Allow the committee to seek judicial review of government decisions that would restrict the committee’s access to information, deny their ability to carry out specific investigations, or block sections of committee reports from being made public. Thank you in advance for your work on this important issue. This entry was posted in Past actions on 7 March 2017 by ICLMG CSILC.